Did you know that by purchasing a trampoline for your family, you could be investing in their overall health and physical development? Once you're familiar with the many benefits of trampolining, you'll have no doubt about purchasing a trampoline for your own backyard. From the second a child is born, they are constantly learning and developing the necessary skills required for life. It is essential that children be provided with plenty of opportunity to develop these skills in a safe, stimulating and supportive environment, such as the family home. According to the ACT's Kids at Play, "By around two years of age most children have mastered their walking skills and are ready to progress to the next stage of their physical and social development." Of course, trampolining at this age is something that needs to be carefully considered, and only attempted if your child is capable of standing on a wobbly surface with your assistance. Children under the age of six should be given assistance as necessary. If your children are very young, they should not be jumping up and down as older users would, and should really only be using the soft surface to practice balance and the occasional weight shift. The type of play involved in trampoline use is free of limitation (even gravity), and often performed solo, so a child's imagination is often what creates the sense of fun associated with a play on the trampoline. "Unstructured, free play is the best type of play for young children,” Raising Children Network says. “This is play that just happens, depending on what takes your child's interest at the time." You can aid this type of play, without changing its free-flowing nature, by ensuring your child has a range of toys and equipment to prompt their creativity and connection to their senses. A mixture of large pieces for gross motor skills and smaller toys for fine motor skills, in a range of shapes and colours, provides children with the opportunity to engage with different objects in their own imaginative way. As your children grow older and their skills rapidly become more developed, the trampoline changes its function, but certainly doesn't lose its ability to shape your child's physical, mental and social wellbeing. Regular, play-based exercise is crucial for healthy development in children of all ages, and should be encouraged throughout their developmental stages. The Australian Government's Department of Health and Aging says, "The pace of activity can range from light actions (such as building or playing on the floor) through to vigorous actions (such as running or jumping)." Trampolining is fantastic for improving so many functions that we adults take for granted. They can help to strengthen motor skills as mentioned previously, but they're also great tools for improving balance and coordination, sensory awareness, and social engagement. "For children ages two to 12, trampolining helps to build confidence through increased body strength and coordination," The Houston Chronicle says. "Your reaction time and coordination will improve, as will your spatial awareness, meaning that you will be less prone to accidents and injuries from trips and falls." Trampolines are highly beneficial for children of all ages, but great care should be taken to avoid unfortunate injuries. The high rate of trampoline injuries in Australia is often considered to be a deterrent for those interested in purchasing a trampoline for their family, but a recent study of Trampoline Safety in Australia, shows that these injuries are more likely to be caused by inadequate adult supervision, a failure to correctly attach or maintain safety features, and collisions caused by multiple jumpers at the same time than the trampolines themselves. 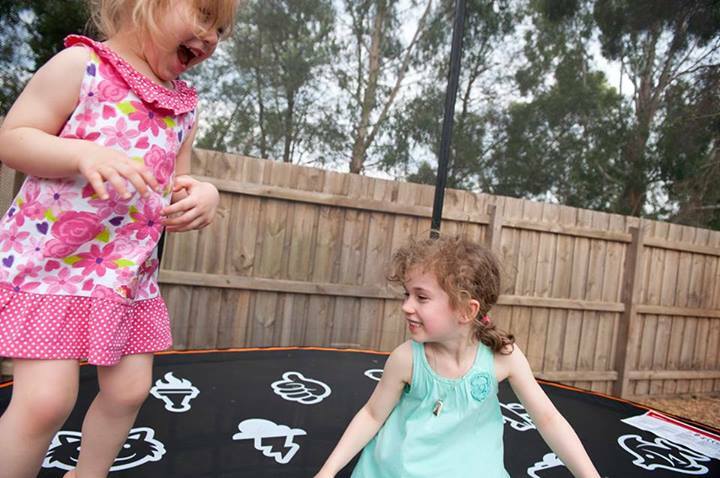 "Trampolines can be fun for the whole family if care is taken and children are taught the right and safe way to use them," Kidsafe WA says. Increased safety measures, such as enclosures, designs without springs, soft edges and padding do not mean that less supervision is required. While these safety considerations give trampoline buyers peace of mind, it is essential that all children are supervised when on the trampoline. Approximately 71% of the participants in the study said that they allow two or three children on the trampoline at the same time. Having multiple children on the trampoline is the cause of a large number of trampolining injuries. Children should take turns wherever possible, to avoid collisions and awkward bounces that may result in unexpected and unnecessary strain on muscles. A safety net is of no use if it's not installed correctly, or damaged in some way. This applies to all components, whether you deem them to be safety specific or not. "Some participants also felt that when their net became old and worn they would happily take it down and let their children jump on the trampoline without a net rather than replace it," the study says. 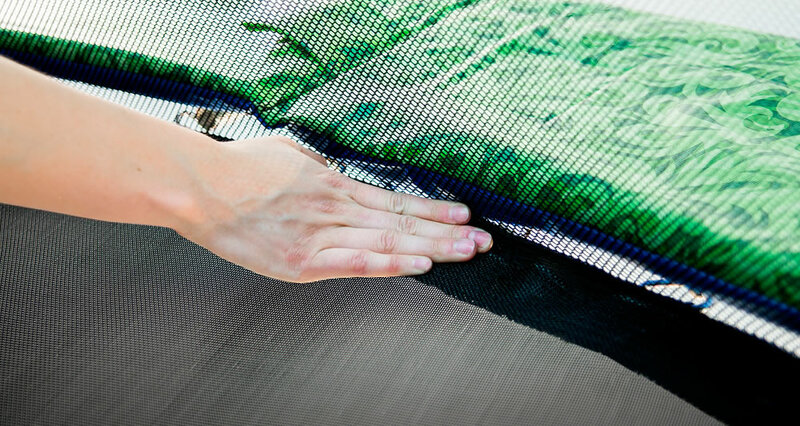 Be sure to invest in a trampoline with great safety features, such as a safety skirt (available as a Vuly Classic accessory and standard with Thunder), safety enclosure, extra padding and soft-edge technology. Both Vuly Classic and Thunder are at the forefront of safety ingenuity and we pride ourselves on producing incredibly safe trampolines. We recommend that all components be checked regularly, and broken parts be replaced before play resumes on the trampoline. A trampoline can enrich the lives of your growing children; just make sure all the necessary safety steps are taken. Your children are your most precious assets, so protect them by implementing all the steps you have to maintain safe trampolining, as well as some common sense. Happy bouncing everyone!